.... You've gotta wonder just exactly how many different variations of J39 they produced. Or at least I do, anyway. Particularly when you start adding the Racer branded versions and looking at different dial / colour combinations. 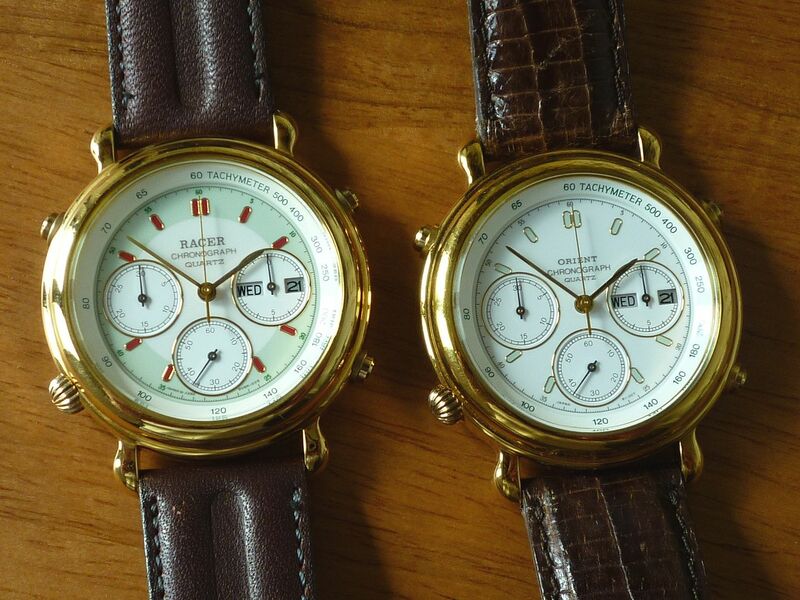 Two of which shared the same basic dial layout; one is branded Racer, the other Orient. After Lawrence's disparaging comments about the light green dialed version, I'd written 'tongue in cheek': Set collector ? Moi ? 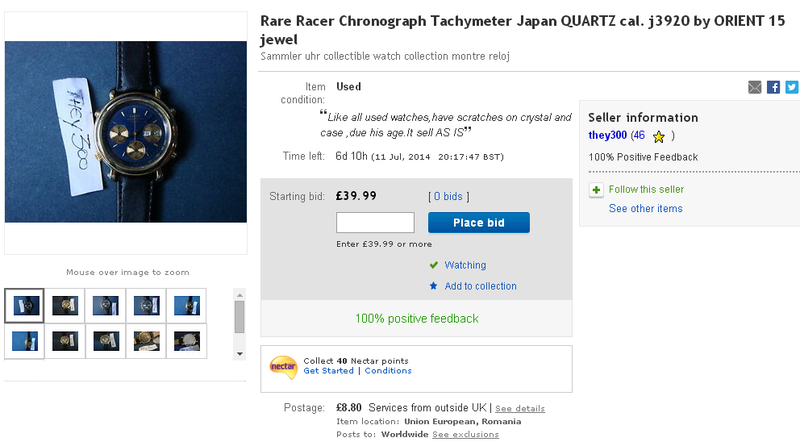 So the last thing I really ever expected was to find another dial colour variation of J39908-70. It certainly looked very blue in the seller's photo. 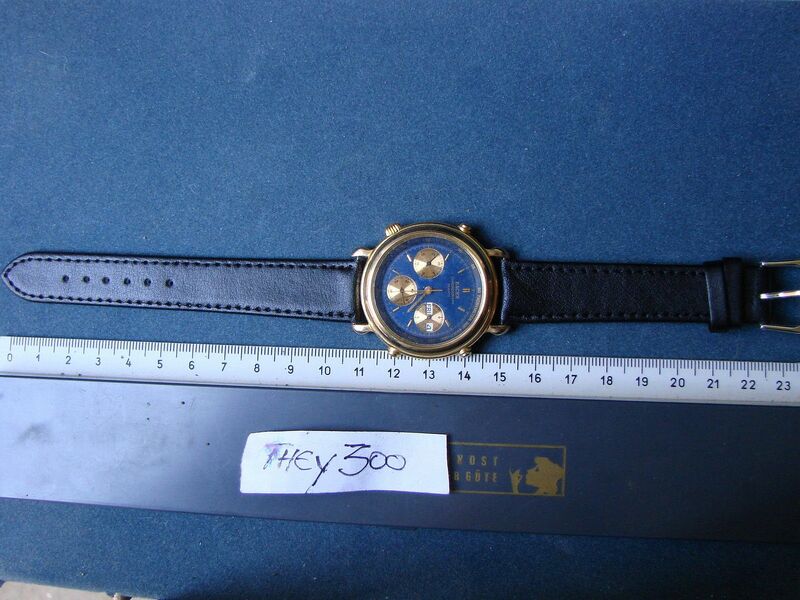 I spotted this J39908-70 when I was searching on eBay Italy at the beginning of April. 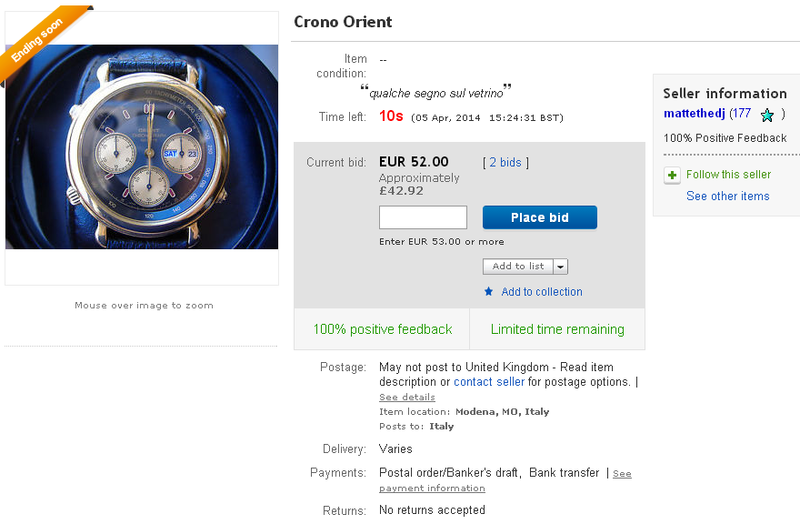 The listing was simply titled Crono Orient. I placed an opening bid, then messaged the seller asking if he was prepared to post it to England, if I won the auction. I followed up by sending him a link to: Poste Italiane's Posta Raccomandata Internazionale service but received no reply after 2 days. No PayPal option - only Bank Transfer. 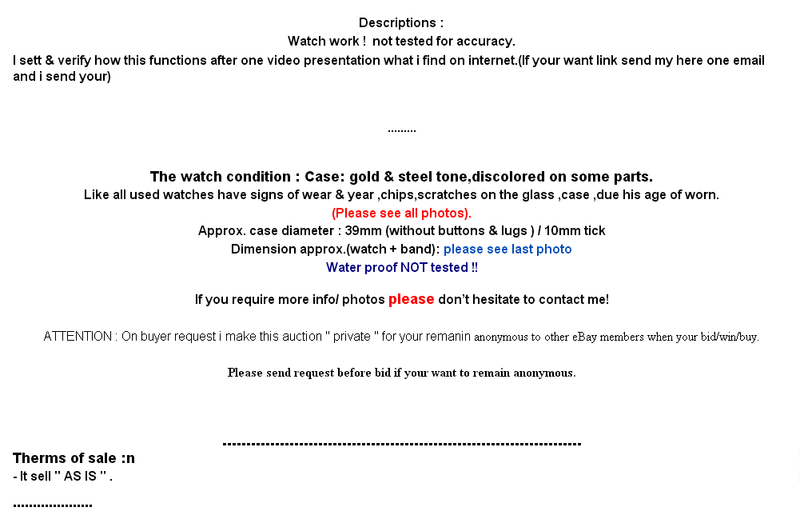 So I enlisted the help of Italian forum member Fabio (fmc000) to bid on it on my behalf. As you can see from the screen print above, the auction was ending on Saturday afternoon - a busy time for most people. So I suggested to Fabio that he used Auctionsniper to make a last 5 second 'killer bid' and sent him an invitation to sign up for it. As it turned out it wasn't needed - nobody else bid on it. And here I am. The watch arrived today at my office place. I took some quick-and-dirty pictures on the train whilst on my way back home tonight and tomorrow I should be able to ship the watch to England. Sorry for the under-par quality pics. 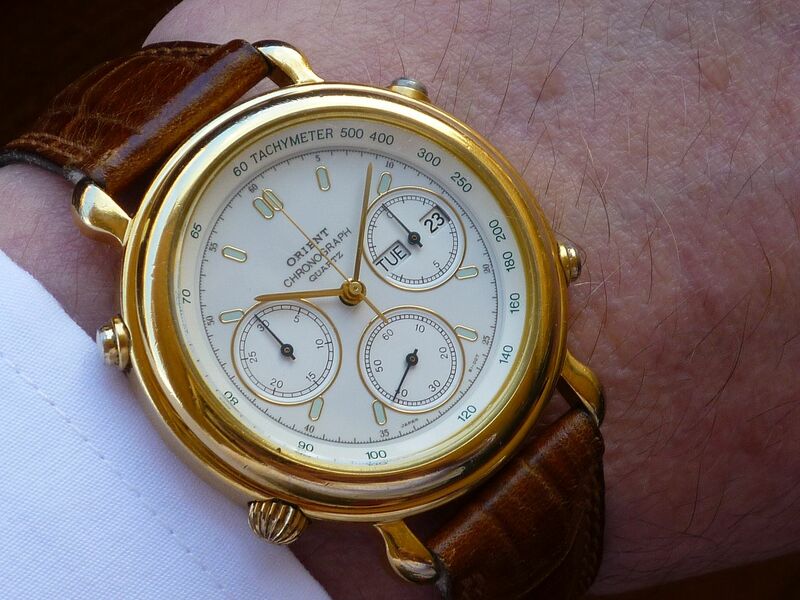 I tested the chronograph and the day-date quickset and they work fine (btw, it's an English-German daywheel watch). 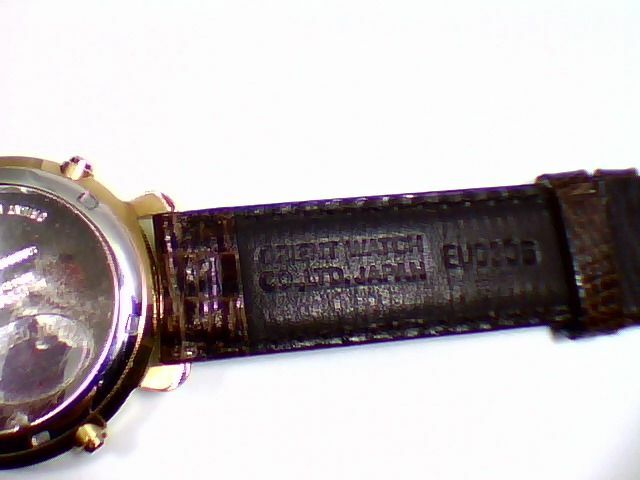 The caseback is reasonably clear and the reference is clearly visible. Finally, the strap is a surprise for me: it may well be the original one, at least it's a Seiko original piece with matching buckle. Except it doesn't look quite so blue in your Q&D photos (compared to the seller's pic). 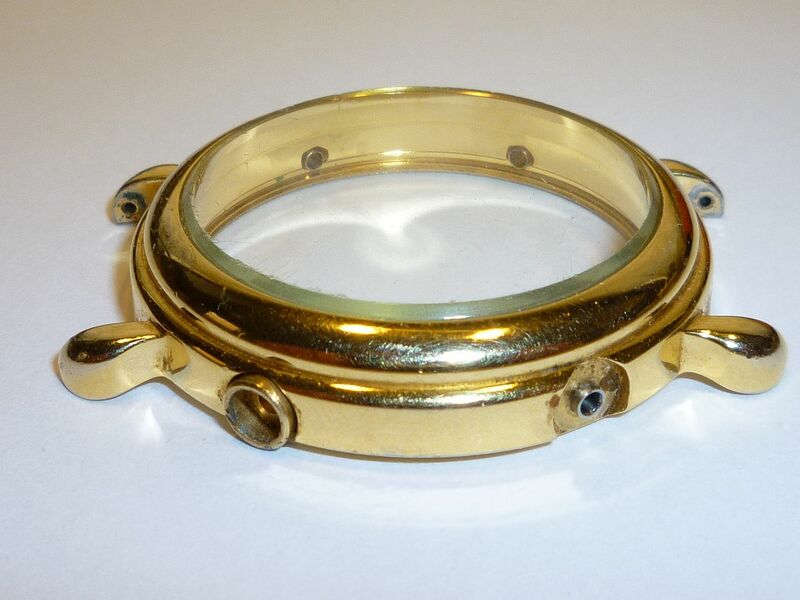 No surprises at the corroded plating of the pushers or the scratched crystal. 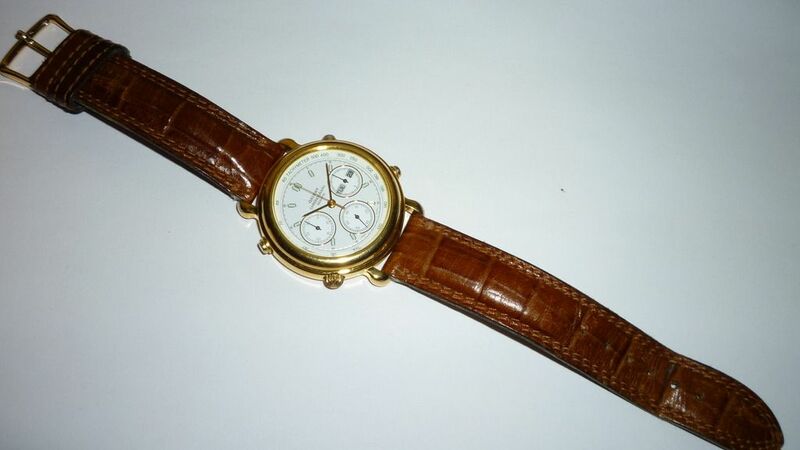 Though I don't think the strap is original to this watch. That'll teach me to start a thread before I've actually got the watch in my hands. I've had some time to reflect and have since amended the latter part of my original topic title (E 'molto azzurro !) accordingly. 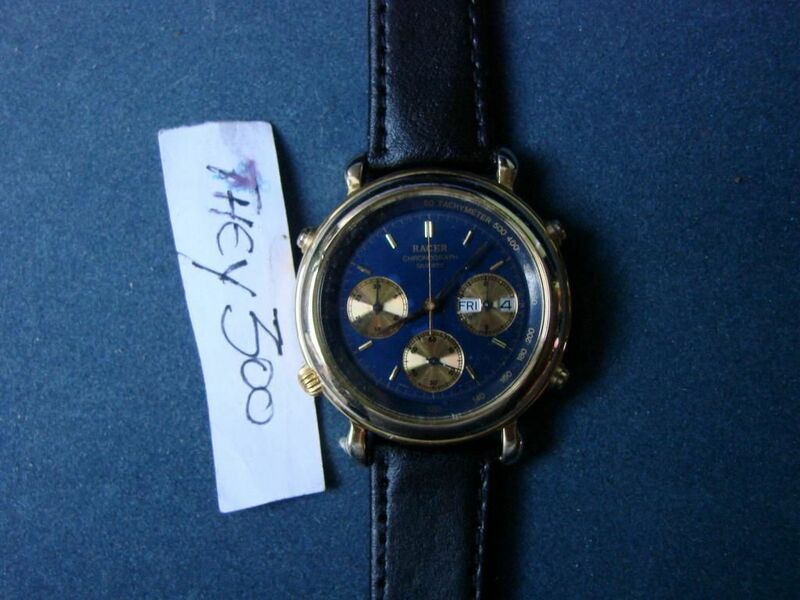 Whereas the watch did appear very blue in the eBay seller's only photo, it's quite clear from Fabio's Q&D pics that the dial is actually predominantly black. 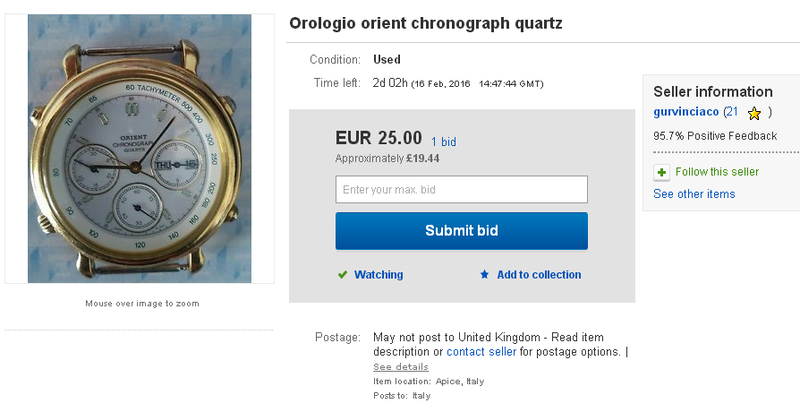 I'm not quite sure how the Italian eBay seller achieved this effect, possibly by accident, particularly when the day wheel is showing SAT in blue on a white-ish background. Oddly enough another blue dialed watch. But the round black leather(ette) padded box it's displayed in is obviously one and the same. So Yes, as I have a penchant for deep blue coloured dials I'm understandably a little disappointed; but thanks to Fabio's more realistic photos I'll know exactly what to expect when it arrives. 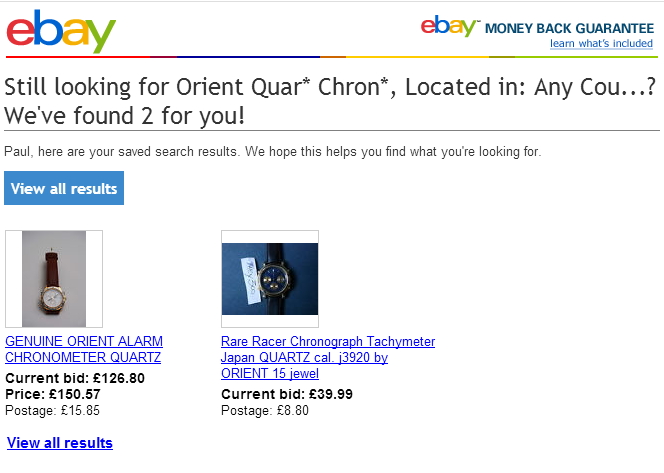 Having said that I'd have bought in a flash, just the same - even if it had looked like a black dial in the seller's listing. 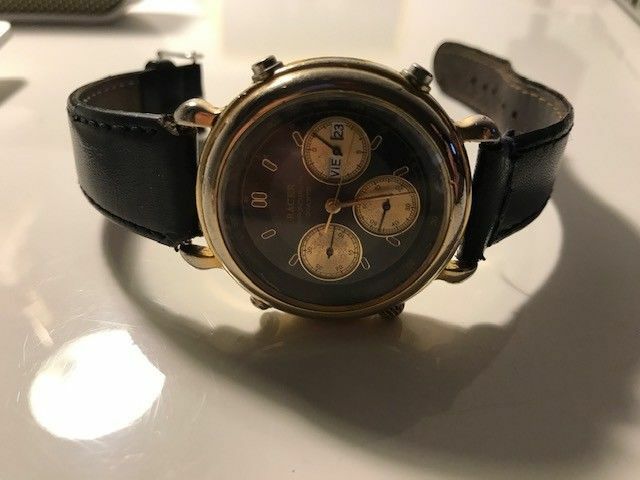 Well, Paul, the watch is on its way to England, so you should be able to appreciate the color by yourself in about a week, more or less. Thanks, Fabio. Just as you predicted, the watch arrived safely in England yesterday. Your Q&D photos indeed showed the watch in its true colours. 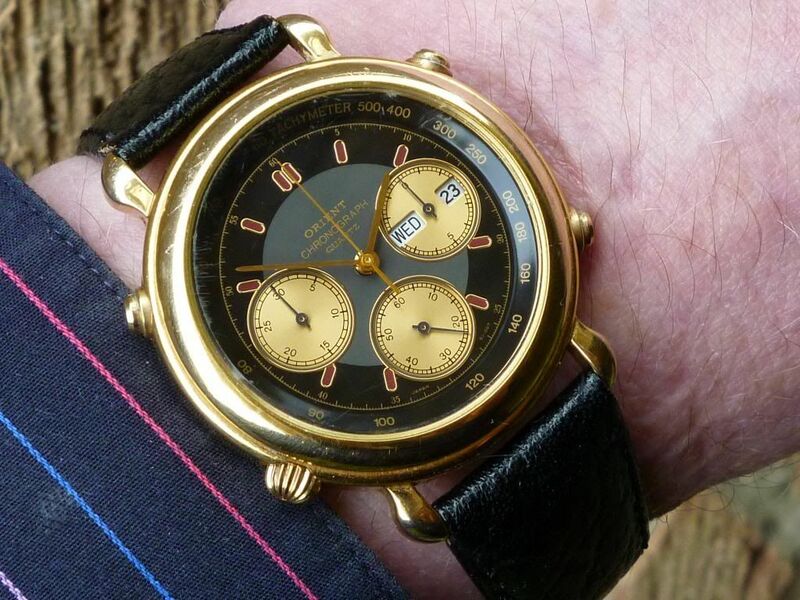 Its dial is undoubtedly predominantly pure black - with not the slightest hint of blue (per the eBay seller's photo). Looks good, I'm glad you like it and that my pics were of some help. Thanks again for your help, Fabio. 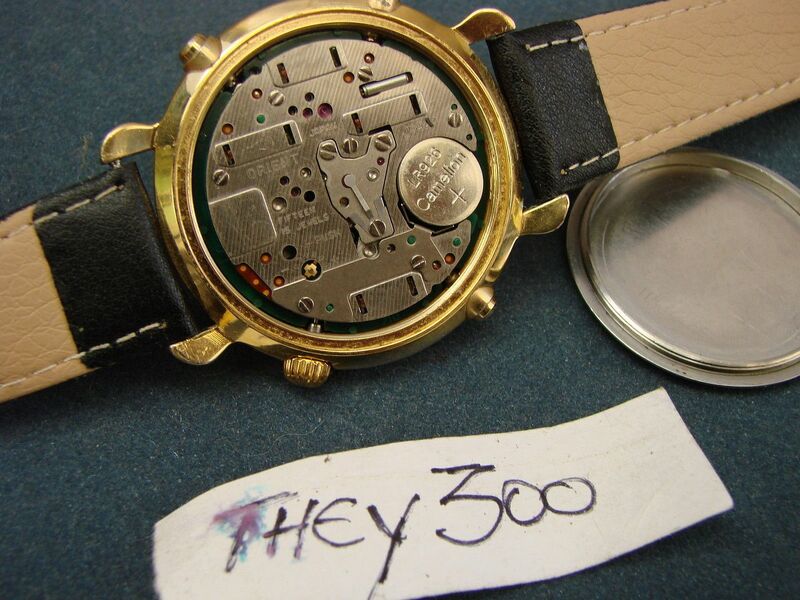 The dial part number markings (also hidden beneath the Tachymeter ring) were as I'd come to expect on this case model: J392 9087. 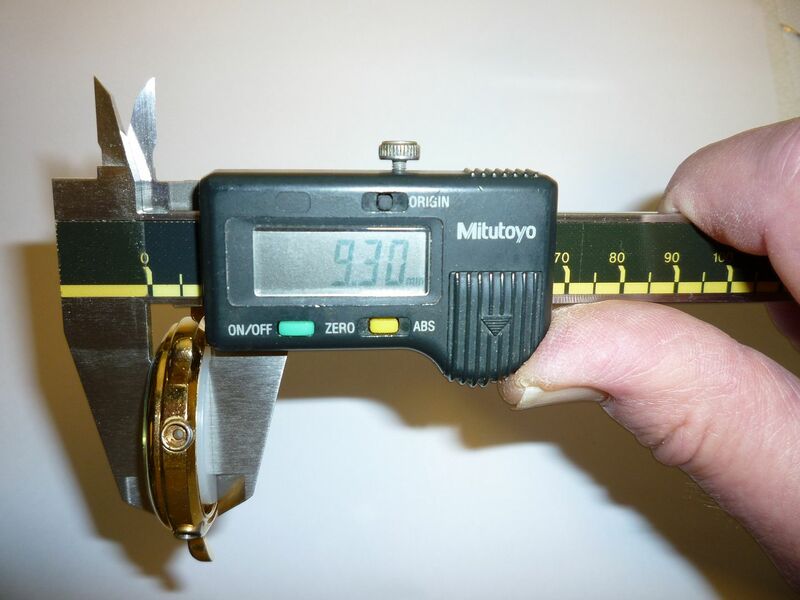 The other reason was that I wanted to do a quick sanity check on the thickness of the original Orient crystal. See this other thread. Now I need to source a suitable replacement. Erm better make that that Part VI - 'cos I've just bought myself another one. 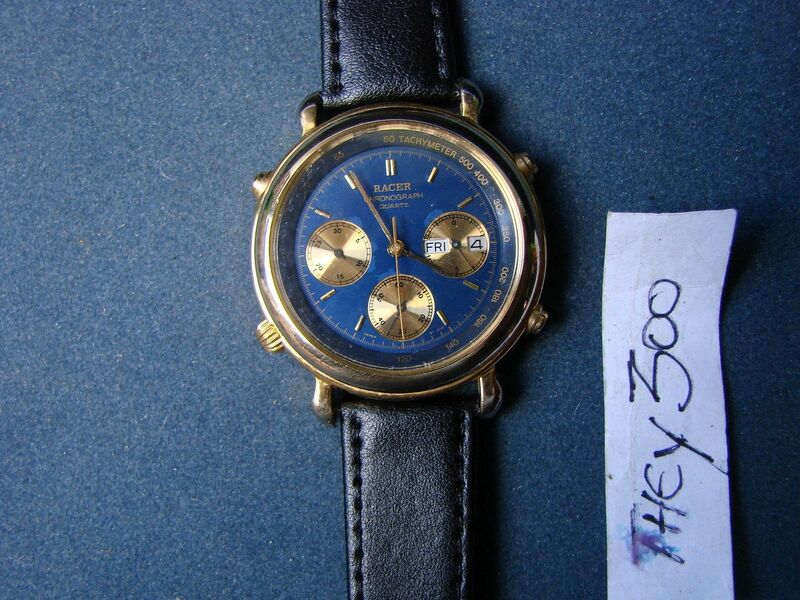 As you can see, it also turned up quite an attractive (if somewhat optimistically priced Orient 7T32 - a.k.a HFA000). 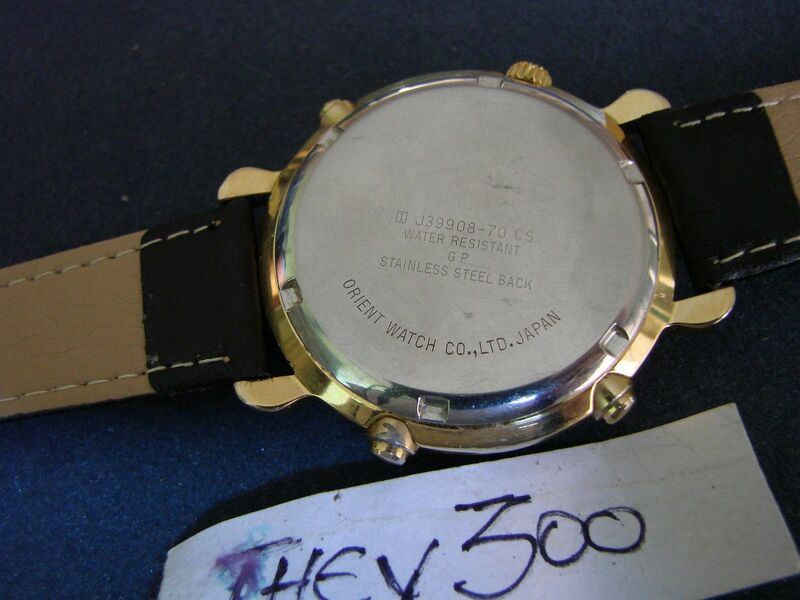 But oddly, this Orient J39 didn't come up in any of of my various Seiko 7A38 *Wild Card* searches at the time - of more anon. Obviously it's in far from pristine condition. 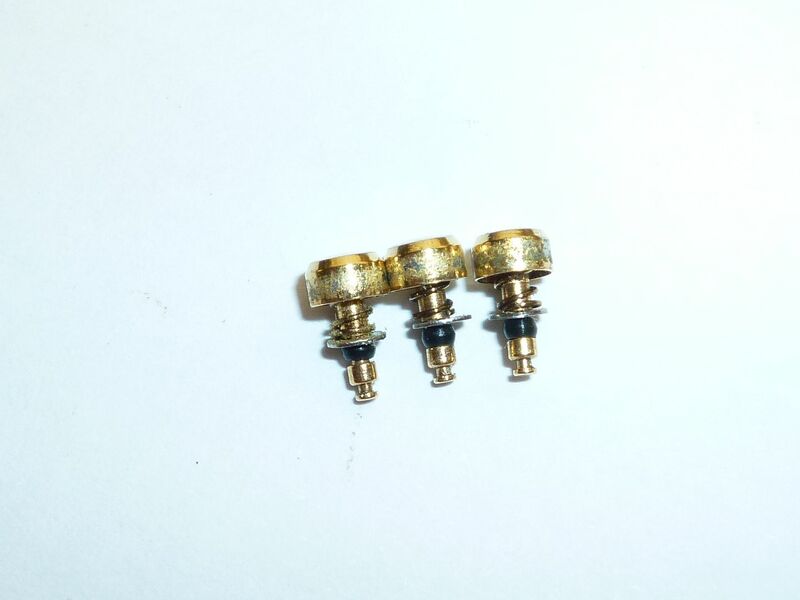 Apart from the wear to the gold plating, there also appears to be some moisture damage to the dial paint, around the edges of all three sub-dials. Still at least the case doesn't appear to be corroded through to the resin. 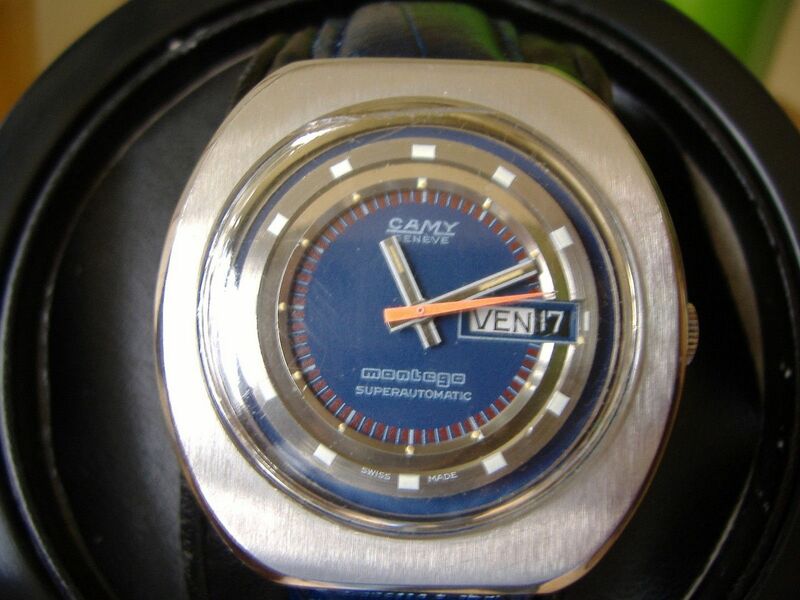 And hopefully this one actually has a blue dial ! 'Twas I who back-doored it. 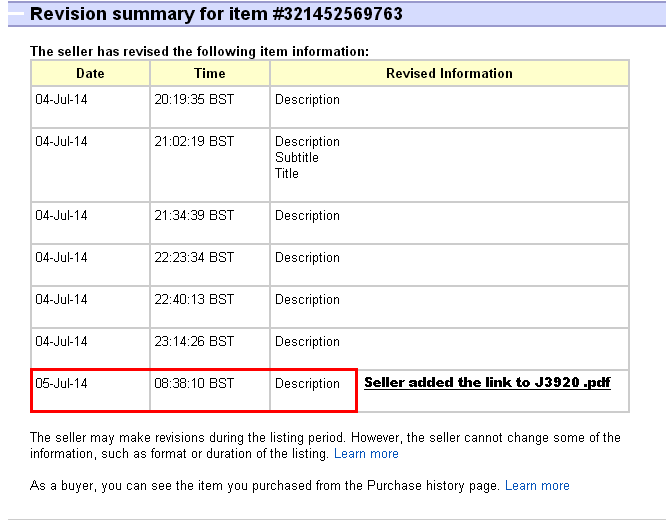 Not that I need to justify my actions to anybody (as it happens all the time on eBay), but there was an 'error' (of sorts) in the listing. But it was the last tweak he made on Saturday morning which caused me some mild consternation. 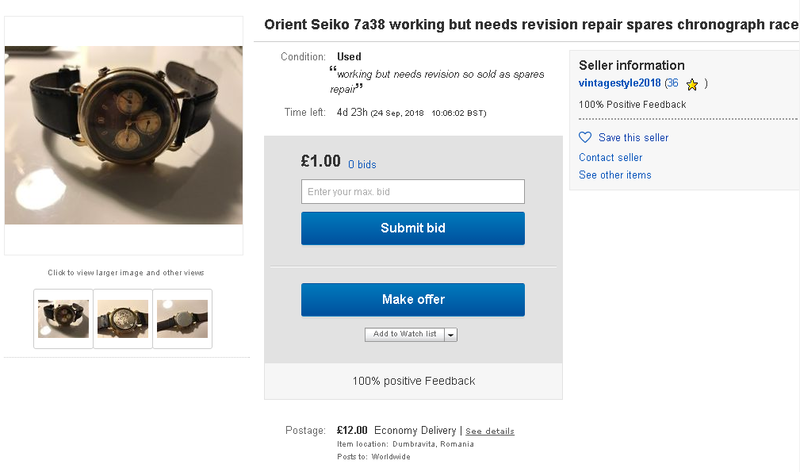 I don't think he'd actually quite made the Seiko 7A38 = Orient J3920 connection, but it was that action - as I later found when I ran a couple of manual searches on eBay on Seiko 7A38 (included in title and description) which made his listing belatedly appear in those search results. Previously, I'd have happily let it run the 7 days and likely still been the sole interested party, but now there was more chance it might attract unwanted attention from other bidders. So after initially politely asking the seller to remove the link to my site - which he would have done, I elected to make him an offer off eBay, for not much more than the opening bid price - he accepted. 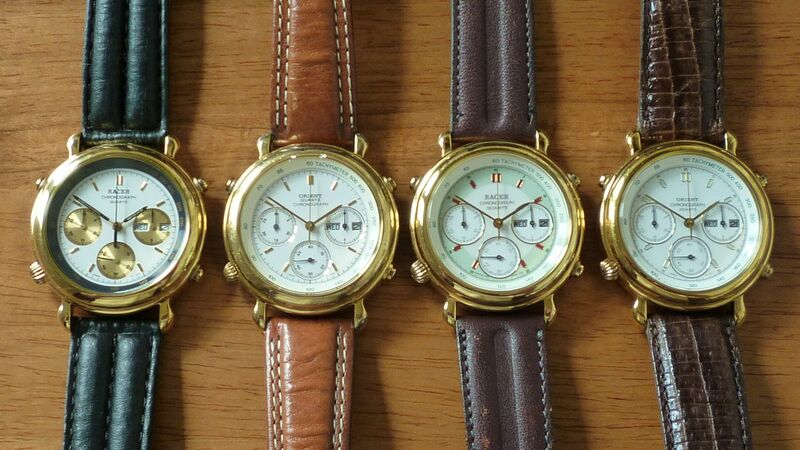 Although one year on, I still haven't got around to taking another updated 'group shot' of all my J39908-70's together, readers of the foregoing posts will be aware I've now acquired 6 of them, branded Orient and Racer in both dial designs in various colours. But I knew there had to be even more out there. Remember I wrote in my initial post ? But it appears to have a Cream painted outer dial with Dark Blue baton infills and minute numbers. 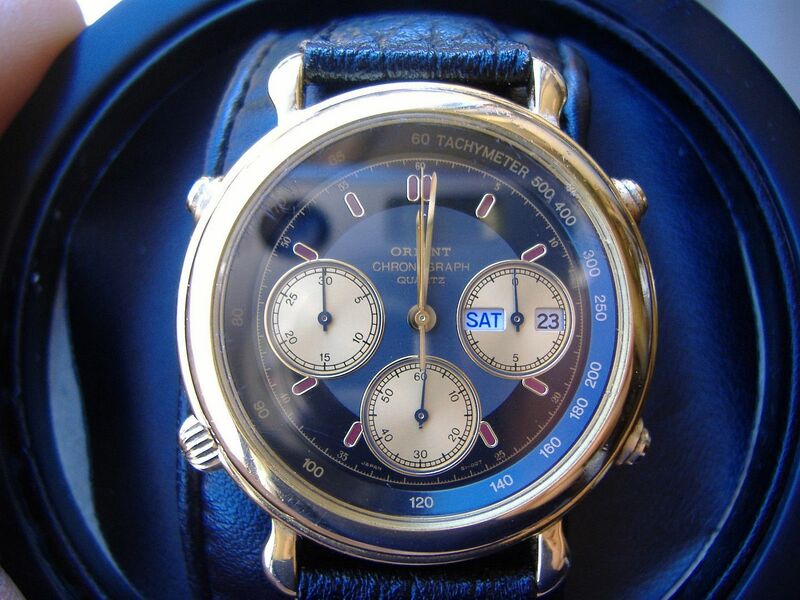 Presumably the Tachymeter scale printing is in Black or matching Dark Blue (rather than Green of my similar Orient / Racer J39908-70's). I contacted the blog owner Alessandro Dotti Contra (Alex) and we exchanged a few emails. 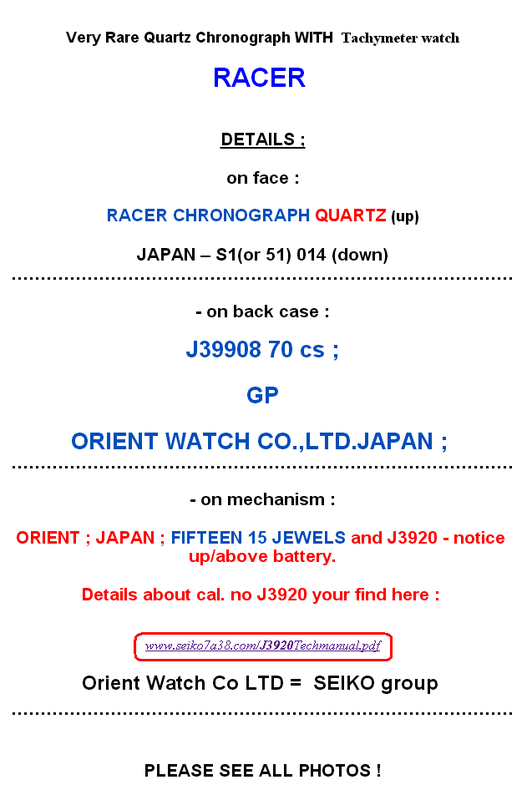 He's since made a couple of minor amendments / corrections to his Orient J39 page - notably about the (resin) watch case construction. 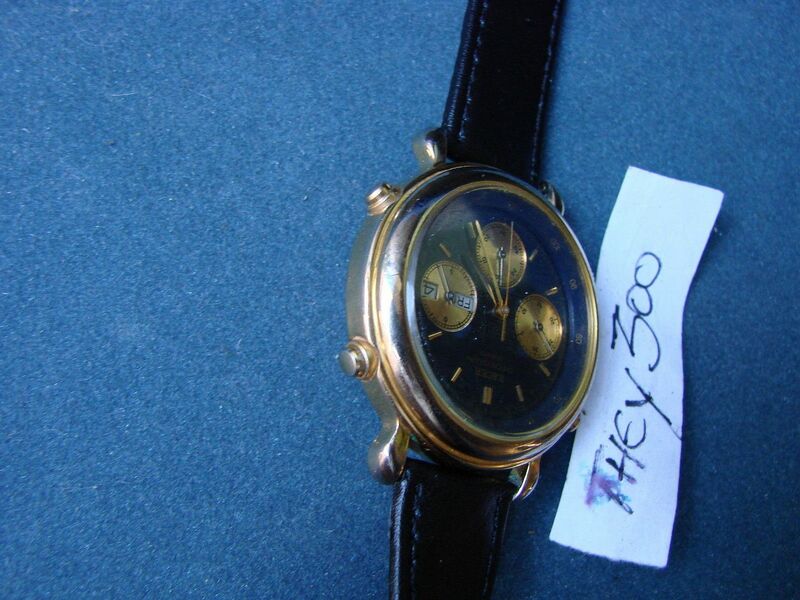 Alex also kindly emailed me a couple of high resolution photos of his J39908-70, which confirmed my suspicions about the dial colours. 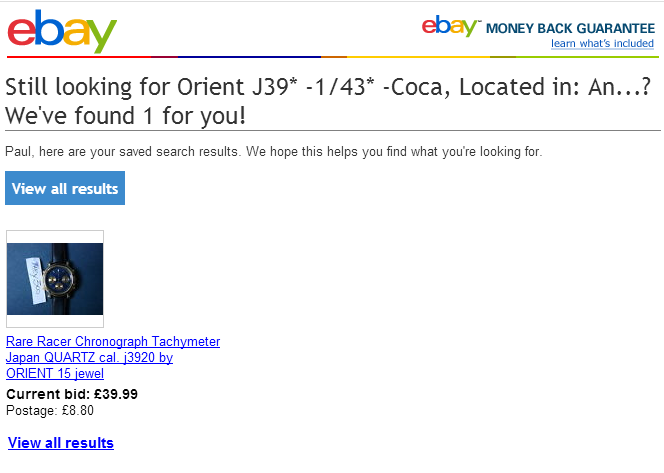 PS - Wondering if I'd missed it being listed on eBay, I had to ask the question. Turn's out that Alex's father found it at a flea market. 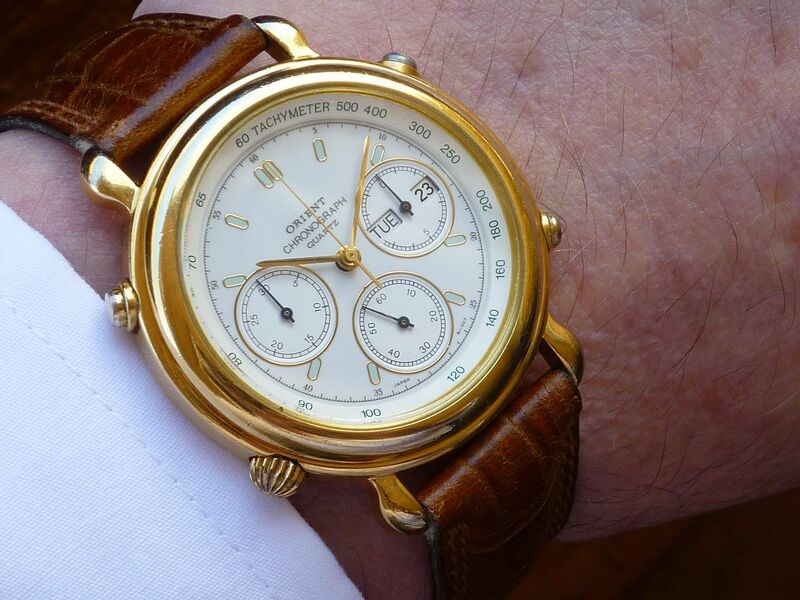 I wouldn't exactly say that I coveted it, but ever since I saw Alessandro's cream-dialed J39908-70, it's bugged me that I didn't have this particular dial colour variation in my collection. So I've kept on scouring eBay in the hope of eventually finding one. 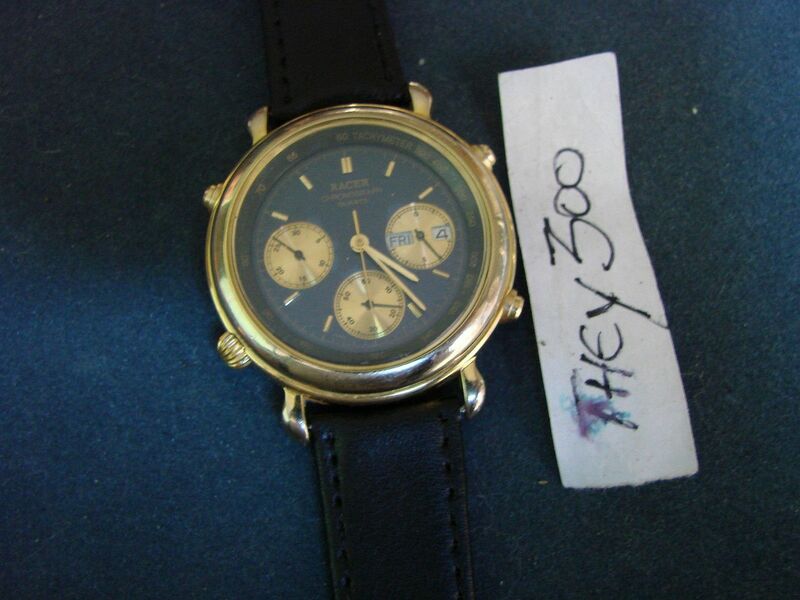 I still haven't, but last week I came across a J39908-70 in reasonable cosmetic condition listed on eBay Italy. In ottime condizioni, manca solo il cinturino. 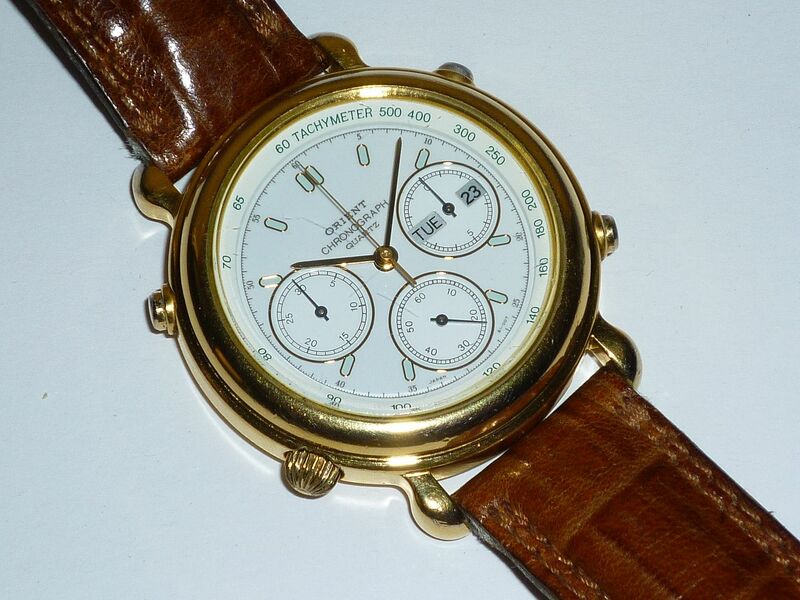 numero diserie J39908-70 cs. water resistant g.p. stainless steel back. 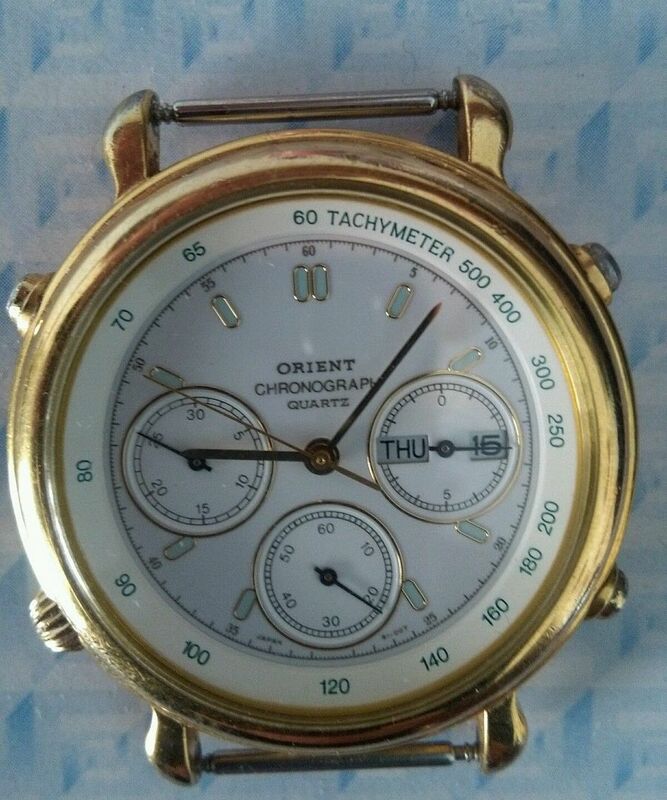 Orient watch co,ltd., Japan. Needless to say, at that relative giveaway opening bid price of under 20 Quid, I couldn't resist and nailed it (twice for good measure). It's actually the same plain white dialed J39908-70 variant that I already have in my collection - which I'd picked up NOS (again from eBay Italy) back in December 2012, shown in a couple of the photos at the top of this page and in the other linked thread. Nah. More like sausages in this case, Don. That 'cheapie' Orient J39908-70 arrived in yesterday's post. Not quite in as 'optimal condition' as the seller might have stated in his description, but I've seen (and purchased) a lot worse - for double the price I paid. 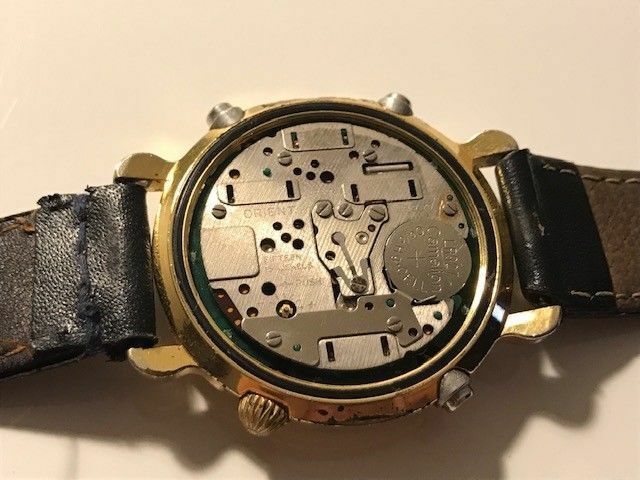 The battery was as flat as a pancake and had just started to leak, but the J3920 movement was still gleaming and completely unharmed. I gave it a cursory external clean this morning (without doing a proper strip down). The artificially lit shot below shows the watch in its worst light. The myriad light scratches on the crystal are barely visible to the naked eye. 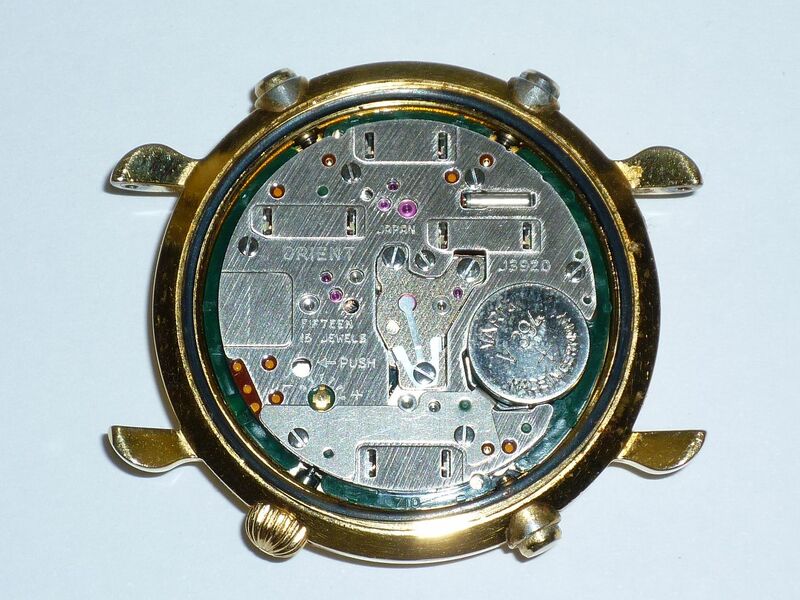 The plating on a couple of the pusher buttons has suffered from the usual electrolytic corrosion, but the watch case plating is pretty good compared to some others in my collection. As you can see from the listing, it was supplied without a strap. 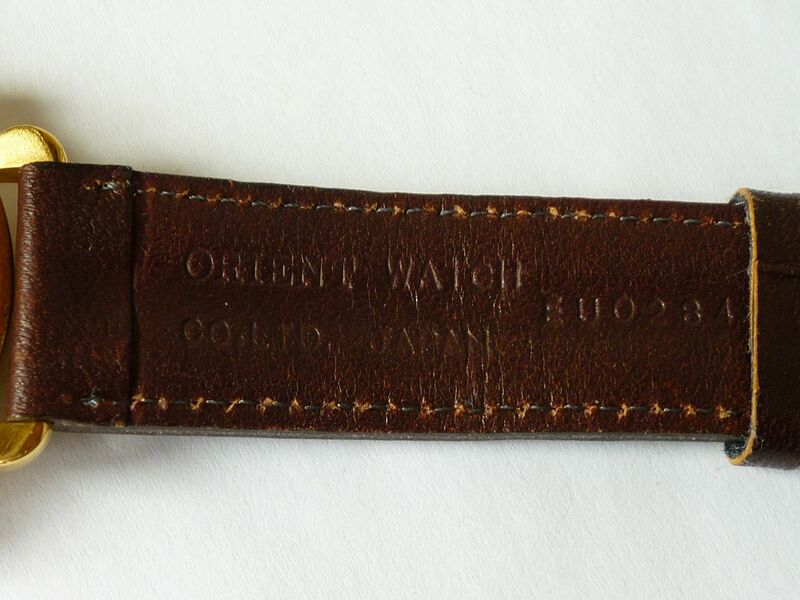 For the time being at least, I've fitted a used 19mm Orient mock-croc strap - of almost correct vintage (and the usual soggy cardboard consistency) - donated by an Orient HFA (7T32) restoration project. Suits it quite well, methinks. The title of this topic 'My newest incoming' is a bit of a misnomer in this case. I could have added this post onto the J39 Variations #99 (ones that got away) thread, but as I'd deliberately refrained from buying this particular example, that's hardly appropriate either. It certainly wasn't worth starting a new topic and as this existing thread is about variations of J39908-70, it's close enough for me. Thinking back over the last few years, at some point, I've probably dreamt about adding an example of every different dial colour / permutation of RACER / Orient J39908-70 to my collection. It's possibly feasible. Problem is, I'd already bought a couple that weren't in exactly ideal condition - and so I'd promised myself I wouldn't buy any more 'junkers', just for the sake of adding yet another variation. This one was listed last week, as 5-day auction with an opening bid price of £1.00 (or the option to make an offer). Although the Romanian eBay seller's listing didn't mention the model number J39908-70 anywhere, their listing title included all three brands and '7A38', so it wasn't difficult to spot. 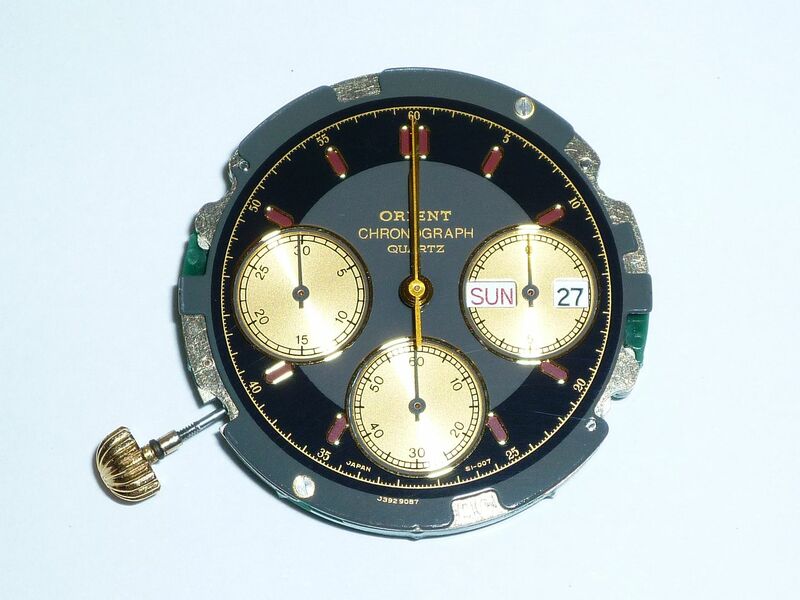 Orient Seiko 7a38 working but needs revision repair spares chronograph racer. Chronograph functions partial working. Keeping good time. Working but needs revision so sold as spares repair. It took me a while to figure out exactly which dial variation of J39908-70 this was. The seller's primary image was small, grainy and not particularly well lit. Zooming in revealed that it was the RACER branded version of the black / grey dial with red enamelled batons - very similar to the Orient branded version which Fabio kindly assisted me with, back in April 2014. 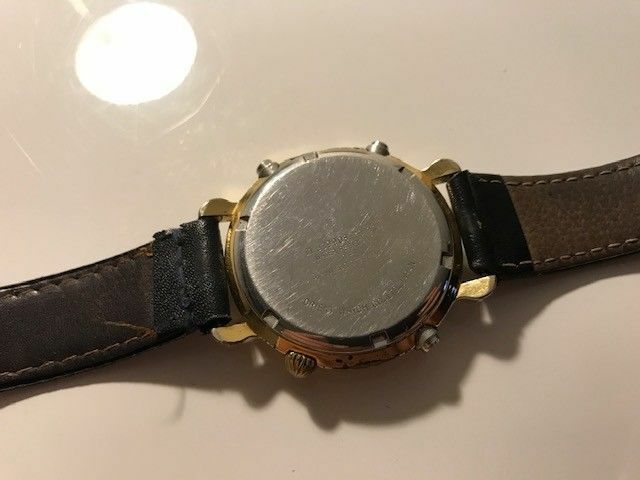 I placed a low bid on it, but then started looking at the other two photos, which showed a typically corroded watch case and well worn case-back - and even though I didn't have this variant, decided to pursue it no further. The auction ended a few minutes ago, with the J39908-70 selling for £19 after 8 bids, 4 of which were snipe bids, placed in the final 10 seconds. Will I ever see another one like this ? Probably not. Am I unduly upset ?